Genevieve Lantelme in Alfred Edwards comedy Par Ricochet. Scan from L’Illustration, 7 April 1906. Photo by Reutlinger. Dress by Jacques Doucet. Hair by Lespiault. It’s one of most popular Lantelme photos, published also on postcards. 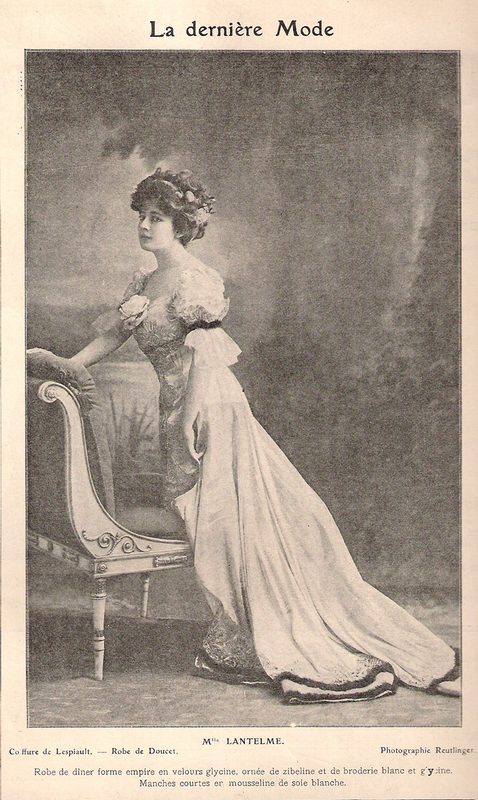 Here we see Lantelme in the play Par Ricochet, written by her future husband Alfred Edwards. Later this man will be accused of murdering her while they were in a yacht cruise.